The Charlotte Bobcats/Neo-Hornets have been to the post-season twice, being swept both times by a Florida team. They’ve had a single All-Star representative in their 10 years, 1 All-Defensive 1st Team member, 1 Rookie of the Year, 1 All-Rookie 1st Team member, and 5 All-Rookie 3rd Team members. That’s not many accolades for a team that just celebrated its 10th year of existence with a complete rebrand. Reflecting on 10 years of consistently not good basketball naturally leads to debating who has had the best season in that 10 years. The majority of players that have worn the orange and blue (and the other blue, then the next blue) can be ignored. 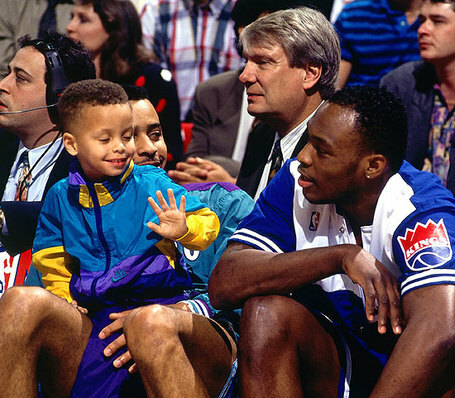 Tamar Slay (props if you didn’t have to look him up) didn’t exactly set the NBA on fire. The list can be trimmed pretty quickly. A quick Family Feud survey on who the best players in team history are and will return some mix of Emeka Okafor, Gerald Wallace, Kemba Walker, and Al Jefferson. Jason Richardson’s name will rightfully show up with 1 or 2 votes. If Stephen Jackson showed up, just no. He might make love to pressure, but that stat doesn’t seem to exist anywhere. The goal is to identify who had the best individual season, regardless of overall team performance. Impact on the team as a whole does matter, just not the final win/loss record. Players won’t be penalized for unluckily ending up on one of the many bad Bobcats rosters or reward Stephen Jackson for being on one of two playoff teams. Individual seasons can be compared using composite ratings such as PER and points per 100 possessions, plus-minus information, tempo adjusted performance rates, and individual play type performance. 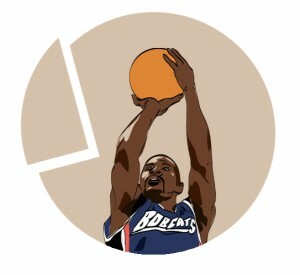 All stats come from ESPN.com, NBA.com/stats, basketball-reference.com, 82games.com, and mysynergysports.com. During the research process, it became apparent that it wasn’t fair to single out one season as the best. Too many good and often underrated performances would go unnoticed and since the Bobcats no longer exist (or won’t soon? It seems nobody knows the timetable on this)* they deserve some recognition. Apologies to any that have been missed. In honor of the re-brand, the entire team gets some space. Brevin Knight led the team with an 18.2 PER, followed by Jason Hart at 16.91. Yes, Jason Hart was an above average NBA player by PER on this team. Jason Kapono shot 41% from deep. Emeka Okafor began his career with an impressive 16.39 PER and Rookie of the Year award. Aside from gaining cult status over time overshadowed by only Walter Hermann’s hair, Primo Brezec had the best career of his season with a 16.19 PER while averaging a career high 31.6 minutes and 13 points per game. Melvin Ely was on the team. Apparently Steve Smith was too, shooting 42% on three and 87% from the line then calling it quits because NBATV money is better than wearing yourself out on an expansion team. Eddie House posted a 15.88 PER while averaging 11.1 points and shooting 41.4% from downtown (this team sure had a lot of shooting… that must have been nice). Jahidi White had a 17.5% usage rate for some reason, along with an 18.2% turnover rate. 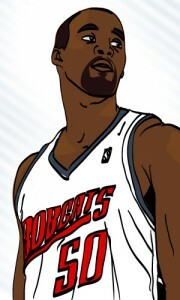 Bernard Robinson scored 18 points in Madison Square Garden, the ultimate King Maker Arena. Gerald Wallace began his ascension, posting a 14.12 PER in more than triple the minutes from his previous season. Tamar Slay finished his final NBA season with a 1.49 PER which may be the lowest in team history if it was worth looking up. And orange jerseys. Because just look at them. ick just one, 2008-2009 comes the closest to a marquee Okafor season. Posting an 18.01 PER, the second highest of his Charlotte tenure, and an offensive rating of 102.2, his highest over that same time period, with a .581 true shooting percentage and a .561 effective field goal percentage, this was his best offensive season. 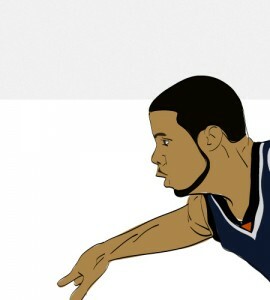 Defensively he was solid as ever with the Bobcats being 4.3 points per 100 possessions better with him on the floor. While he pales in comparison to Dwight Howard who was drafted just before him, Okafor was a solid rim protector and a decent offensive option, something Charlotte could definitely use behind Al Jefferson right now. Richardson’s tenure in Charlotte was (too) short, but merits a mention. With a PER of 18.6 and an offensive rating of 103, he was one of the best offensive players the Bobcats have seen. He got torched on defense, but a player that shoots 40.6% from 3 has been a rarity in the Queen City over the past 10 years. It would have been interesting to see that team develop with a decent coach. Instead J-Rich got shipped out to Phoenix for Raja Bell and Boris Diaw and the rest is painful, eye gouging, Larry Brown hating history. 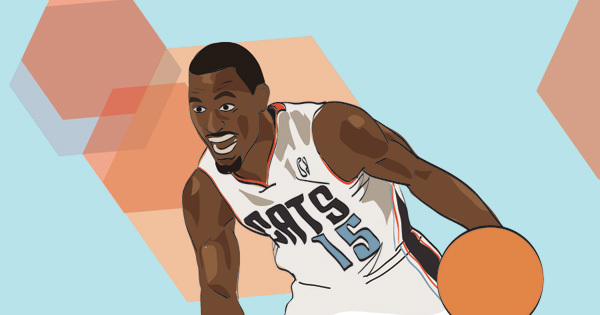 Kemba is a key piece of the Charlotte Hornets moving forward and has been worthy of the 9th pick in the 2011 draft. It would be easy to select 2012-2013 as his best season as he improved his shot selection and had easily his best shooting percentages in his (extremely) short career thus far. It’s hard to disentangle Kemba’s performance from Al Jefferson’s in 2013-2014, but that’s the beauty of what he’s done this past season. Walker has been the number one option on every team he’s played. He’s been expected to create shots for himself first and involve his teammates second. This is delving into “intangibles,” but Kemba’s ability to change his mindset and learn to play with a post player was impressive. While his shooting percentages regressed, his assist ratio improved and turnover rate dropped. Defensively he had his best season with a 99.1 rating and 3.3 defensive win shares, continuing to block shots and get steals with his quickness and athleticism and rebounding well for a small guard. His biggest defensive concern is his size, yet in isolation plays the opposing player scored .73 points per possession on 31.6% shooting. He’s doing just fine. Plus/Minus stats aren’t particularly helpful here because Luke Ridnour was the backup for 1/3 of the season and Ramon Sessions is a known terrible defender. Kemba’s future is bright as he had arguably his best season yet even if it wasn’t a massive statistical improvement on his 2nd season. 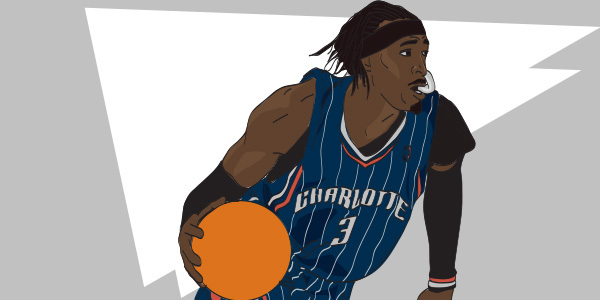 Jefferson came to Charlotte and made an immediate impact, leading the team to the playoffs and even receiving MVP votes. This speaks to the dearth of centers in the league and the massive improvement in the Bobcats record from 2012 to 2013, more than doubling wins. This is not to diminish his accomplishments. Jefferson is a low post savant that found a way to be competent on defense in a way he hadn’t been at any other point in his career. Jefferson posted the highest PER in team history at 22.7. He was the focus of the offense and the main focus of defenses every night, allowing other guys to find their spots. Despite all that attention, his effective field goal percentage and true shooting percentage were the 3rd best of his career at 53.2% and 51%, respectively. Jefferson had the highest assist percentage in his 10 years at 12.8%, a welcome improvement in his game. All of this while posting his highest usage percentage ever at 29.3%. He also had his best defensive rebounding percentage at 28.2%, an important part of finishing defensive possessions. Defensively he was solid, helping hold opposing players to less than 1 point per possession in all significant play types (play types run more than 40 times). He struggled with stretch 5’s like Chris Bosh as they shot 40.7% on 3’s in spot up situations, but that’s a concession that has to be made given Al’s physical limitations defensively. All in all, Al Jefferson had an excellent season relative to both his career and the Bobcats history, with defense being a particular bright spot considering his reputation. The 2009-2010 season was the year of Crash. He earned the Bobcats first and only All-Star appearance (including a lackluster, at best, appearance in the dunk contest) while earning All-Defensive 1st Team honors and finishing third in Defensive Player of the Year voting. He also lead the Bobcats to their first ever playoffs appearance. He had no chance at an All-NBA team due to the glut of quality wing players in the league, but that shouldn’t take away from a great season. Based on accolades, this was easily Wallace’s best season and the best individual Bobcats season. He was a defensive beast, averaging 1.5 steals, 1.1 blocks, and 10 rebounds per game with a defensive rating of 100. Overall, Charlotte was a great defensive team and with Wallace on the court they were 1 point per 100 possessions better than when he rested. Offensively, Wallace was solid. He averaged 18.2 points per game, the highest of his career, while shooting 37% from three, a major outlier in his career, and 48.4% overall to go with 10 rebounds and 2 assists. All of this playing a career high 41 minutes per game, often at power forward (not his preference). In the team context, Wallace was a net positive on both offense and defense, though not significantly so. The team was .7 points per 100 possessions better on offense and 1 point better defensively, as noted previously. Why is this not the best season in Bobcats history? While the awards came in the 2009-2010 season, Wallace’s reputation in the league was established in the prior season. That season he had the second highest PER of his career at 18.64. His offensive rating was 101.7, better than his All-Star season. While his raw stats aren’t as impressive as that season, he played 3.4 minutes less per game, averaging 37.6 minutes. Efficiency is what sets this season apart from that season. Per 36 minutes his scoring average was almost identical at 15.9 in ‘08-‘09 and 16.0 in ‘09-‘10. Despite the unexpected 3 point efficiency the next year, his overall shooting efficiency was also close with true shooting percentages of 58.5% and 58.6% and effective field goal percentages of 50.4% and 51.1% (this is where the 3 point shooting shows itself). He was able to make up for the 3 point shooting by being better at the free throw line, 80.4% to 77.6%, and better from 2 point range, 51.5% to 50.3%. Wallace also had a 12.4% assist rate in ‘08-‘09 but only 9% in ‘09-‘10, all to go with a better turnover rate in the prior season at 12.8% vs 13.1%. All of this offense came at a slightly higher usage rate, going from 20.5% to 20.3%. If these minor differences seem like splitting hairs, it’s because that is exactly what differentiating these 2 seasons is. The defensive side of the ball is the real clincher. 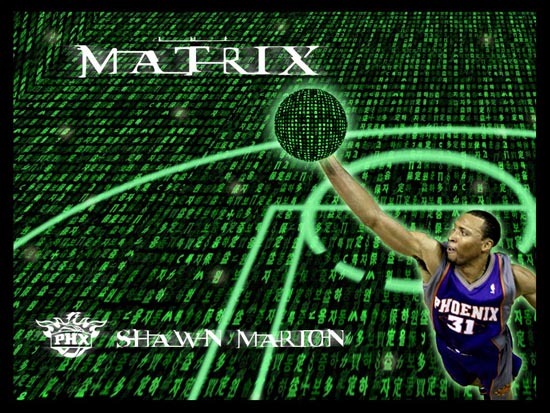 In that season the team was 7.8 points per 100 possessions better with him on the court. While individual defensive efficiency can be noisy, that difference is enough to have merit. The defense was anchored by Emeka Okafor who posted a solid 102.3 defensive rating with a defensive +/- of -4.3, but the effect Wallace had from a wing position is extremely impressive. On the court, the Bobcats had the 7th most efficient defense in the league. With him off the court, they had what would have amounted to the 29th best defense. Wallace posted a better steal rate (2.5% to 2.0%) and equivalent block rate (2.1% to 2.2%) in ’08-’09. This was a significantly worse defensive team overall, ranking 14th overall as compared to 1st the following year, but Wallace certainly wasn’t the problem. While the ’08-’09 and ’09-’10 seasons could essentially be combined in regards to defensive and offensive performance, 2008-2009 wins out by virtue of the “doing more with less” axiom. This all comes down to a matter of opinion. You can’t go wrong with either season. 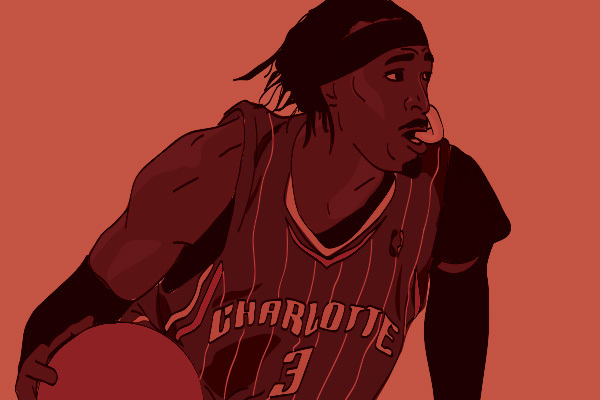 Just know that Gerald Wallace is the King of the Queen City. All hail Crash. *Sadly this joke died as the Charlotte organization has announced the name change will take place on May 20th. POLL : Greatest Bobcat Ever? Nine bungling seasons and countless blowouts later, the Charlotte Bobcats have done nearly everything in their power to incite and enrage the few remaining loyal fans who’ve stuck with the team. Each regime has gotten their punches in – from Bob Johnson to Michael Jordan to Sam Vincent to Larry Brown – each blow more punishing than the last. The franchise’s sole purpose seems to – like some misanthropic Starship Enterprise – perpetually explore the boundaries of that infinite space called “rock bottom”. I’m starting to wonder if it has ever occurred to anyone in the Bobcats’ front office that the very PURPOSE of professional sports is ENTERTAINMENT, which is an admittedly fuzzy concept to define, but thanks to a near decade of Bobcats ineptitude I sure as hell can tell you what entertainment IS NOT. Rich Cho knew he was walking into an ugly situation when he took the GM job two years ago. 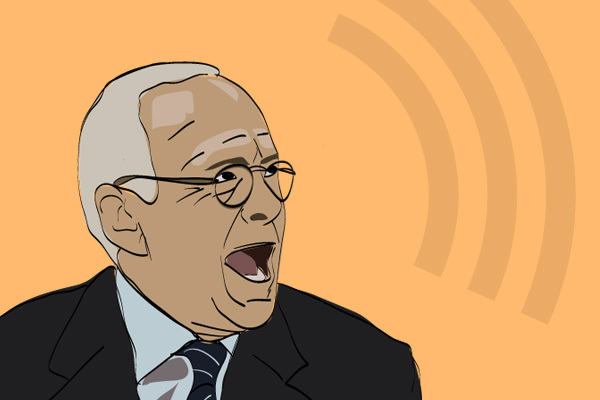 Larry Brown had strip-mined the team bare of assets in exchange for the franchise’s lone Playoff appearance – a four game beatdown at the hands of the Orlando Magic – after which the team was capped out with ZERO star prospects and low on draft picks: AKA an unmitigated disaster. Like any other progressive-minded GM, Cho’s first move was to break out the analytics playbook, understanding that in order to re-acquire precious assets like picks and prospects, he’d have to pull out the sledgehammer and start swinging. Nearly two years and over a hundred losses later, the roster, the brand and the fan-base have been successfully beaten to a pulp. I won’t argue against the strategy, it was the only card left in the deck. Consider this: In a DEVESTATING fourteen month stretch from June of ’08 to July of ’09 an MJ-enabled Larry Brown traded a future first rounder for Alexis Ajinca, forced the team to take D.J. Augustin over All-Star Center Brook Lopez, traded cap space for Gana Diop and tossed another future first round pick to Chicago for free-agent-to-be Tyrus Thomas. After re-signing Thomas to a $40 million contract the following July, the capped out Cats had to salary dump future Defensive Player of the Year Tyson Chandler and former number five overall pick Raymond Felton. Today’s putrid, blowout-addicted squad was sown from these very seeds. Still, Cho knew what he was getting into when he took the job and now after a truly EMBARRASSING, SOUL-CRUSHING stretch of bad basketball, it is his responsibility to turn it around. First, let’s define “turning it around” as simply being competitive. Quantitatively, let’s say over 30 wins and a -3 point differential or better. That puts you in nearly every game. And yes, I know this goes against the “worst place to be is in the Not-tery” theory (©2011, me) but this is a special situation; call it franchise triage. The Bobcats should aim to have a winning home record next season and minimize blowouts (20 point losses or more) to less than eight. The fans should feel as if EVERY TIME they attend a game at TWC or tune in via FOX Sports/League Pass the team has a LEGITIMATE SHOT at winning. Every single game. The organization owes this to the people who hand over their hard earned money and valuable time. Entering the summer, Cho will have a small stash of first round picks, an attractive expiring contract and up to $20 million in cap space to play with: the equivalent of a full nitrous boost in Need for Speed or pocket Aces in Texas Hold ’em. It’s what you’ve been waiting for: HIT THE FREAKIN’ TURBO BUTTON. Is there a chance Danny Ainge would trade Rajon Rondo for Kemba Walker, cap space and a Top 3 pick? HIT THE FREAKIN’ TURBO BUTTON. 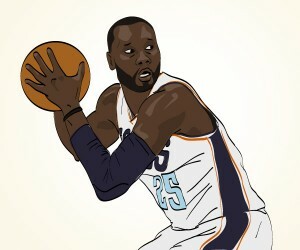 Convinced that free agents Tyreke Evans or Al Jefferson are All-Stars? HIT THE FREAKIN’ TURBO BUTTON. 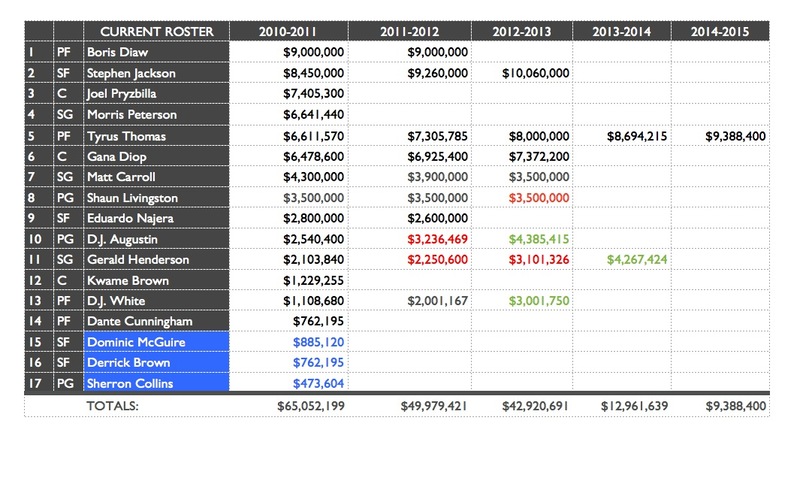 Do the Bulls want to salary dump Carlos Boozer or Luol Deng? 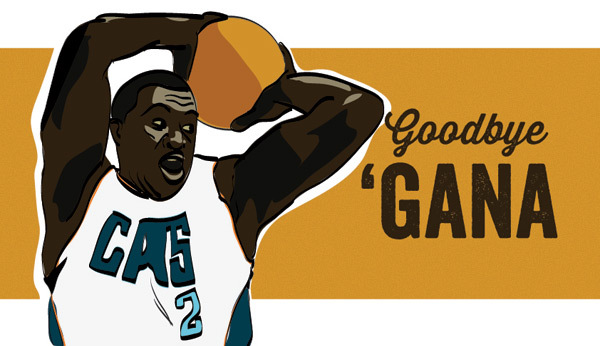 As long as you can send back Ben Gordon, HIT THE FREAKIN’ TURBO BUTTON. Will any of these guys get you a Championship? Outside of Rondo, probably not, but the Bobcats are so far from the Playoffs right now that the NBA Finals may as well take place in Middle Earth or Hogwarts. Remaining competitive while building a winner has worked for Houston and Indiana, there is no reason the same strategy can’t work for Charlotte. I won’t go into my usual roster-bation manuevers until we get closer to the offseason. In the meantime, I can’t express enough how important it is for the franchise to regain a semblance of dignity. To be a joke is one thing but to be a stain on the city and the league? That may take decades to wash off if ever at all.